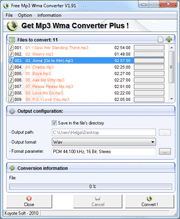 Convert MP3 to WMA like a Pro! 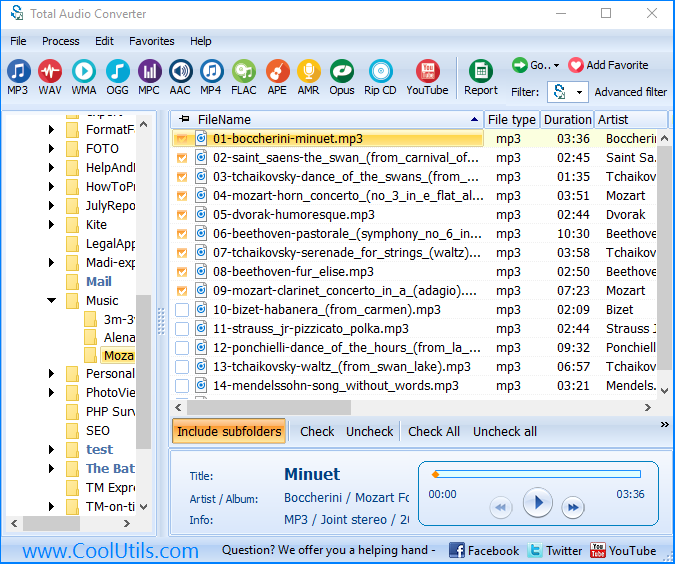 You are here: CoolUtils > Total Audio Converter > Convert MP3 to WMA like a Pro! It's a pain to fin dthe right program to convert WMA to MP3. There are too many of them with ill-thought interfaces, lame engines, lacking necessary options. In this review we compare two popular WMA MP3 converters to find which is better. We pay attention to the usability, functionality and price. 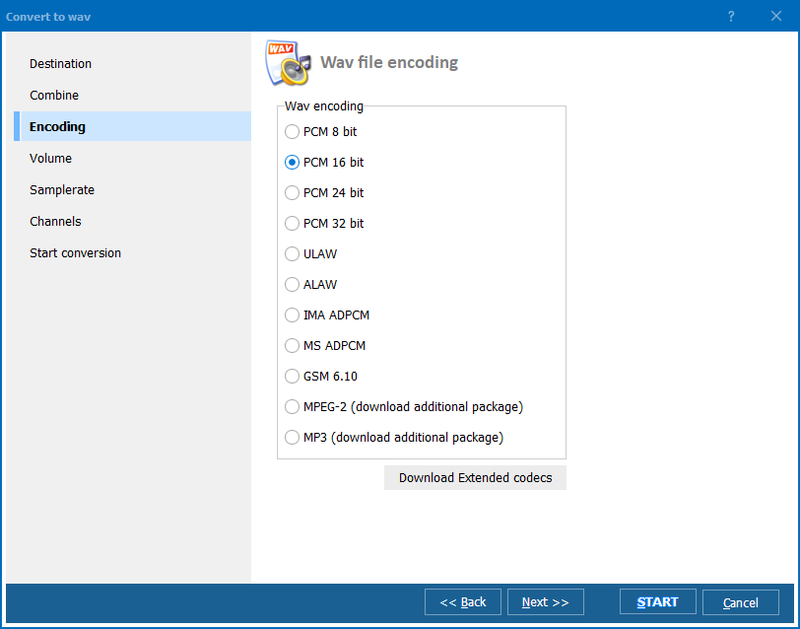 Koyote Converter supports only APE, FLAC, MP3, MPC, OGG and WAV formats. No AAC and WMA support. This significantly limits the functionality of Koyote converter and makes it simply unsuitable for processing a few major music formats. 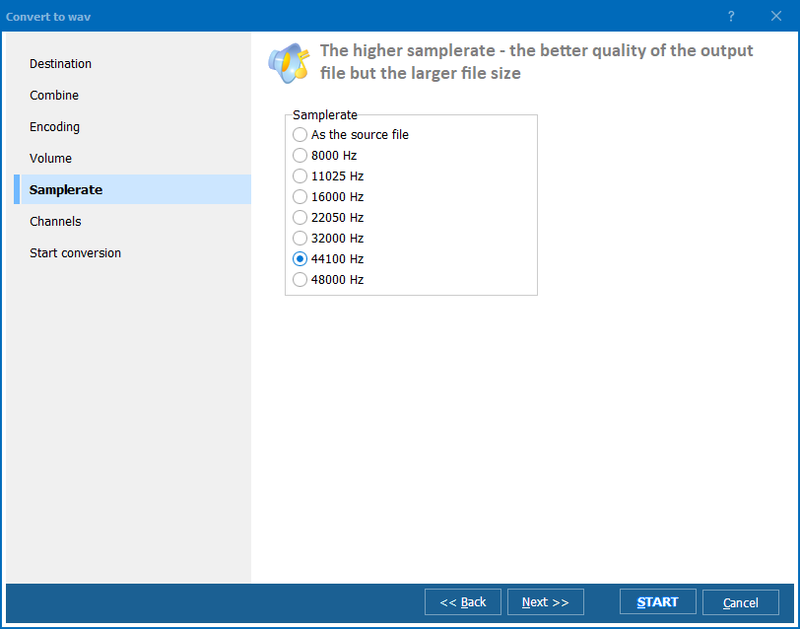 As Total Audio Converter, Koyote converter allows to cut audio tracks for fragments and rip CD disks (convert CD audio tracks). However, Koyote offers these features in separate utilities. To get them user needs to install additional two programs on his PC. 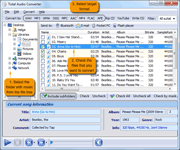 Total Audio Converter is all-in-one utility that doesn’t need any additional install job. There is no ability to play source list tracks before conversion. User can define a source file only by its name. When having lots of files named simply by numbers it is very difficult to define a necessary source. 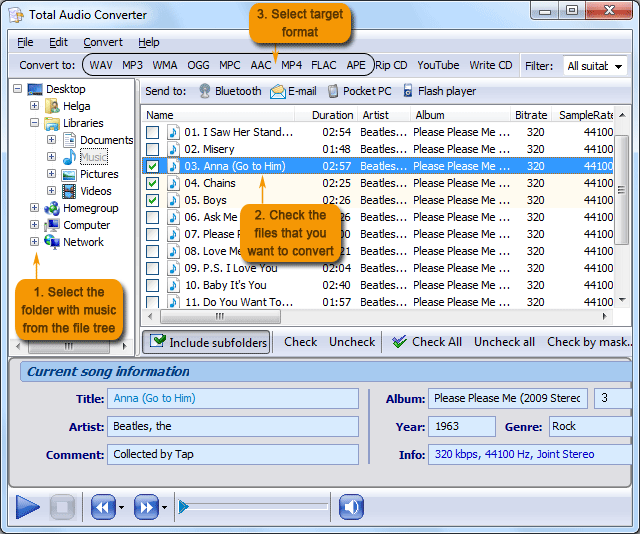 Total Audio Converter has in-built player. Koyote converter doesn’t support converting tracks from YouTube. Total Audio Converter can do this also. Both programs offer free and paid versions. Total Audio Converter costs only $19.95 while PRO Koyote converter's price is $24. If you want to save money and get widely extended functionality, use Total Audio Converter.